Opinions – Page 2 – Welcome to Wyandotte Daily! by Rep. Pam Curtis, D-32nd Dist. A historically slow session came to a head last week when the House worked over 50 bills in two days. The House worked late into the evening both Monday and Tuesday nights, March 25 and 26 – just 30 minutes shy of the midnight rule on Monday. The pace will continue to be very busy leading up to first adjournment on April 5th as the Legislature attempts to come to a consensus on remaining issues. It is a special honor to serve as your state representative. I value and appreciate your input on issues facing state government. Please feel free to contact me with your comments and questions. My office address at the Statehouse is: Room 452-S, 300 SW 10th, Topeka, KS 66612. You can reach me at 785-296-7430 or call the legislative hotline at 1-800-432-3924 to leave a message for me. You can also email me at: pam.curtis@house.ks.gov. • Ridding a contract with Maximus, the Medicaid clearinghouse, and returns more than 300 employees to the state. • A 2.5 percent pay increase for state employees. Judicial branch employee raises would be phased in over five years. • Sets aside more than $50 million for the Kansas Department for Aging and Disability Services, including $13.4 million for home and community-based services, $6 million in services for intellectual and developmental disabilities, $13.6 million for nursing facilities, $3 million for community health centers, $4.8 million for psychiatric residential treatment, and $12.4 million for a program that serves the elderly. • The budget also includes the governor’s significant recommendations for child welfare reform, including funding for additional 52 workers and participation in the federal Families First program. On Monday, Gov. Kelly vetoed the controversial Senate Bill 22. The Kansas Chamber immediately called for an override. An override attempt of her veto would require two-thirds of the House (84 votes), and Senate (27 votes) to be successful. The bill would have benefitted giant multinational corporations, and was estimated to have reduced state revenue, at a minimum, of over $500 million over three years. Gov. Kelly stressed this would “throw our state once again into a self-inflicted budget crisis, diminishing all the investments we’ve worked so hard to rebuild and restore. It would put our future at risk once again in order to give significant tax breaks to entities who need them the least while continuing to leave working families behind.” This was the governor’s first veto. One of several Democratic amendments attempted was to restore due process for teachers. Since its repeal under Gov. Brownback’s leadership in 2014, House Democrats have continuously fought for its reinstatement. The amendment failed 68 to 55. H Sub SB 25: House Substitute for SB 25 by Committee on Appropriations – Appropriations for FY 2019, FY 2020, FY 2021 and FY 2022 for various state agencies. SB 16: House Substitute for SB 16 by Committee on K-12 Education Budget – Making amendments to the Kansas school equity and enhancement act and other statutes related to education. 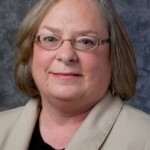 Author Info WyandottePosted on Mar 25, 2019 Mar 25, 2019 Categories Kansas City Kansas, Opinions, Wyandotte CountyLeave a comment on Legislative update from Rep. Pam Curtis, D-32nd Dist. Legislative update from State Rep. Pam Curtis, D-32nd Dist. There was a lot of activity and events at the Capitol this past week including Theatre in Our Schools Advocacy Day, W.E.A.L.T.H. Day, Mental Health Advocacy Day, Kansas Ag Day, Nonprofit Day on the Hill and the State Refugee Update. SportingKC was the sponsor for the Wyandotte-Leavenworth Delegation Luncheon. Even though the debate on the floor extended into the lunch hour most members were able to take a few minutes to visit with Marty Nevshemal, chief financial officer for Sporting KC. It was such a pleasure to have former Mayor Joe Reardon, president-CEO Greater Kansas City Chamber, as the speaker for a joint Johnson-Leavenworth-Wyandotte County Luncheon. He gave a very informative presentation focusing on regional issues including early childhood learning, workforce development and transportation. This past week, I joined my fellow legislators to promote a resolution to condemn the separation of children from their families at the border. Kansas House and Senate Democrats presented a resolution and hosted a press conference on the Keep Families Together Act. Resolution 1260 urges the federal government to end their separation and detainment practices of children and their families. We felt compelled to speak out because it affects many of our constituents. Late into the evening on Thursday, the Senate approved a clean K-12 education bill on a 32-8 vote. The bill, which is in line with Governor Kelly’s education plan, will add roughly $92 million into the general state aid to public schools. The measure is hoped to meet the Kansas Supreme Court’s order requiring the state to provide “adequate” funding for K-12 education. The bill will head to the House. House Democrats have repeatedly advocated to address school funding this session and are eager to resolve the continuous cycle of litigation, providing Kansas children with the quality education they deserve. Meanwhile, a Republican bill was worked in the House K-12 Education Committee that is essentially a private school voucher bill poorly disguised as a public-school funding bill. It would actually remove around $200 million from base state aid that passed last year. Essentially, it would make policy changes and cut money from schools, all but guaranteeing an unconstitutional ruling if passed. This week, for the House Democrats’ monthly summit, they played host to the Kansas City based Mexican consulate delegate. We learned how beneficial Kansas’ relationship is with Mexico. In 2018, Mexico became Kansas’ largest export market. $2.8 billion in goods are traded between Kansas and Mexico. 18.2 percent of Kansas’ worldwide exports go to Mexico. Mexico is also Kansas’ second largest export market for transportation equipment, particularly aerospace components and parts, with over $300 million in export revenue. 97 percent of worldwide corn exports, 26 percent of worldwide pork exports, and 16 percent of fresh beef from Kansas all head to Mexico. They also advocated for labor rights and protections, explaining that they are at the core of USMCA, the new agreement between United States, Mexico and Canada. We enjoyed speaking with them on how to continue this successful relationship. The turnaround deadline two weeks ago officially marked the halfway point of the 2019 session. With the deadline, over 40 bills and issues were left to die. These are bills that had passed through committees but were never brought to a floor debate by the House Majority Leader. The bills covered a range of issues, such as removing the spousal exception from sexual battery, medical marijuana, due process for teachers, and more. Furthermore, Democratic attempts to address some of the most critical issues facing Kansans, like school funding, have been met with partisan games. These issues deserve serious deliberation and the development of policy alternatives to pursue the best path for Kansas. It is not a race, but the deadlines are real. In 2011, the first year of Gov. Brownback’s administration, the Legislature debated and acted on 99 more pieces of legislation by this point in the session than they have this entire year. Under the direction of the ultra-conservative Republican leadership in both the House and Senate, only one piece of legislation has reached the governor’s desk. We have deep respect for the legislative process. The Democratic House caucus started this session ready to reach across the aisle to get things done. There are dire issues facing Kansas — our schools are severely underfunded, children are missing and dying in our mismanaged foster care system, rural communities are struggling, hospitals are closing, and our prison system is dangerously underfunded. Instead, we have spent a significant amount of session trying to give giant tax giveaways to giant, multi-national corporations and discussing issues that impact other states. The Senate concurred on Senate Bill 22 with a 24-16 vote. Senate Bill 22 is the massive tax giveaway to giant, multi-national corporations. SB 17: Requires class M driver’s licenses when operating a motorcycle registered under a temporary permit. 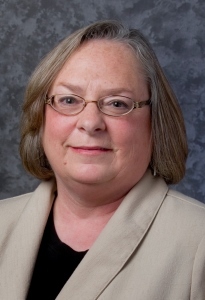 Author Info WyandottePosted on Mar 18, 2019 Mar 18, 2019 Categories Kansas City Kansas, Opinions, Wyandotte CountyLeave a comment on Legislative update from State Rep. Pam Curtis, D-32nd Dist.